The Shepherd Neame Bluewater pop-up store was conceived as part of Bluewater’s Calendar Moment programme to activate a shop unit with a great local brand and offer a unique experience for fathers in the run-up to Fathers’ Day. Shepherd Neame, Britain’s oldest brewer, was keen to use the pop-up as a launchpad for two new products and to create a brand experience reflective of its roots and brewing process. In conjunction with the centre’s environmental policies, raw materials such as hops, malt and apples were introduced along with existing fixtures and props such as barrels, a cider press and traditional wooden crates filled with hops suspended from the ceiling, creating an immersive experience, bringing the sights, smells and tastes of the brewery to Bluewater. To further immerse customers in the world of brewing a pioneering ‘hops 360’ virtual reality tool was created allowing guests to take a virtual tour of a hop garden. 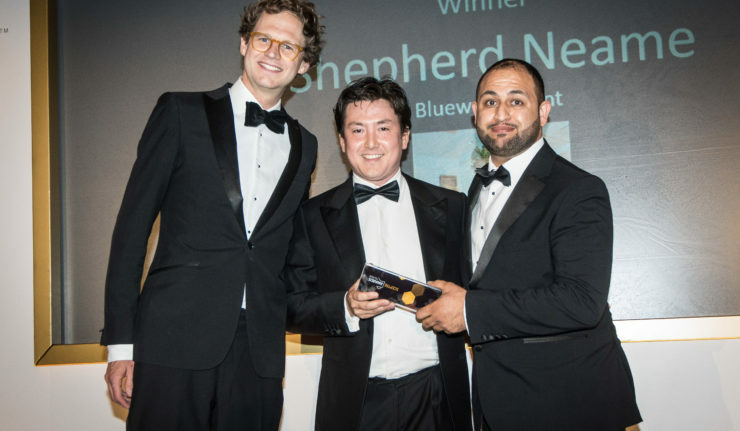 Each guest was also invited to enter a prize draw for the chance to win beer for a year and Shepherd Neame collaborated with the Bluewater marketing team offering prize giveaways for Fathers’ Day. The fact that the pop-up shop was featured in Retail Week as Shop of the Week is demonstrative of its huge success.